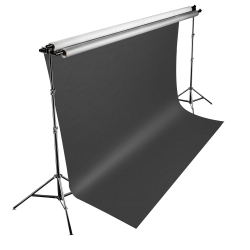 This background system, which is especially developed for professionals in studio photography, is characterised through its convenient and quick change of backgrounds. 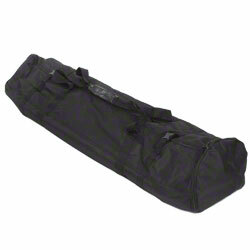 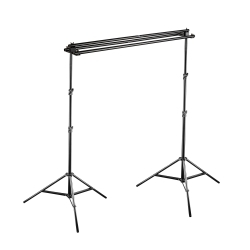 It consists of 2 tripods and 3 background rods, on which it is possible to attach either backgrounds or background rolls. 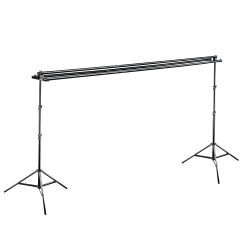 Through the variable width of the background system, it is possible to meet special and individual requirements on location. 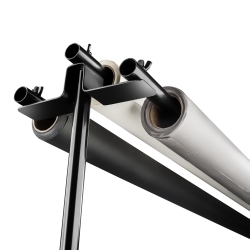 Mounting up to three backgrouns is very convenient and helps you to be more flexible and save more time. 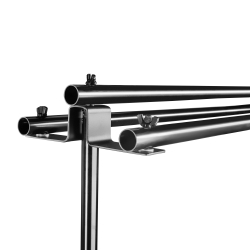 The sturdy tripods provide an excellent stand. 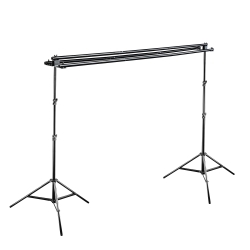 The walimex bag, which is included in delivery, is not just suitable for the walimex background system, but also for other tripods with a maximal carrying length of 100cm.